Comedy favourites Chris O’Dowd (The I.T. 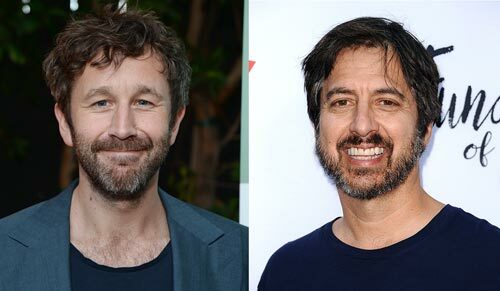 Crowd) and Ray Romano (Everybody Loves Raymond) are taking a turn for the criminal in a new reimagining of Elmore Leonard’s bestselling novel Get Shorty for U.S. network Epix. The 1990 novel, which has previously been adapted for the big screen in MGM’s 1995 feature starring John Travolta, Danny DeVito, Gene Hackman and Rene Russo, has been reimagined by writer Davey Holmes (Shameless). O’Dowd will play central character Miles Daly, who works as muscle for a murderous crime ring in Nevada, but is hoping to change professions for the sake of his daughter by becoming a movie producer, laundering money through a Hollywood film. Meanwhile, should his negotiations all go through, Romano will play Rick; a washed up producer of low quality films who becomes Miles’s partner and guide through the that is Hollywood. The new 10-episode series is said to be a dark comedy, and is set to debut in summer 2017, with production slated to begin this autumn. Epix is a joint venture between entertainment giants Paramount, Lionsgate and MGM, and Get Shorty will make the network’s third original series to date, following up Berlin Station, an espionage drama starring Richard Armitage and Michelle Forbes; and Graves, a comedy with Nick Nolte.